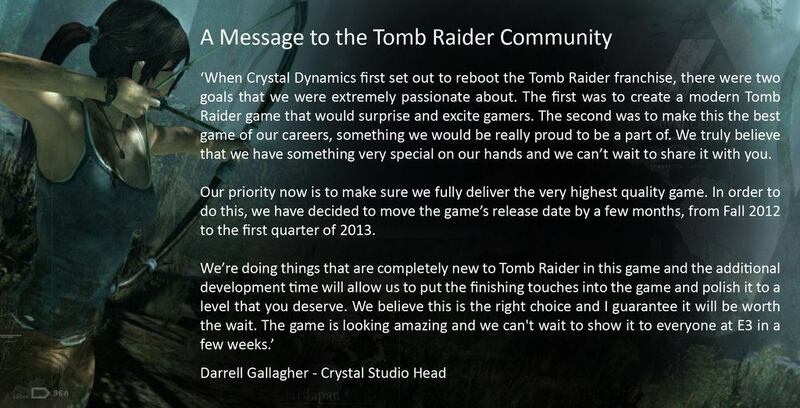 The rumors are true as we receive news the Tomb Raider is indeed pushed to 2013. 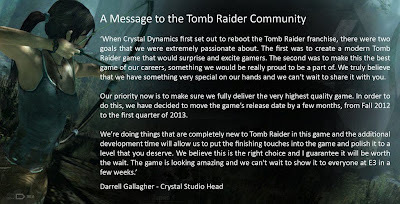 The following statement was recently published on the official blog and website. 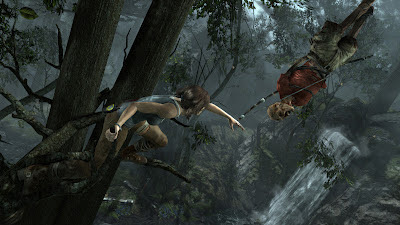 Along with this new screenshot.